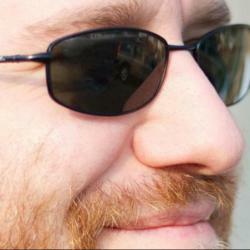 Seth House will speak at UtahJS 2013 about the evolution of web components coming in the DOM4 and HTML5 specifications. SaltStack, the full systems and configuration management stack for any cloud, today announced Seth House, SaltStack senior engineer, will speak at UtahJS 2013 on the evolution of web components coming in the DOM4 and HTML5 specifications. Seth will speak on Friday, May 17 from 4:15 - 5:15 in room 1 of the Salt Lake City Public Library. Seth will demonstrate what is possible through stand-alone, reusable libraries of HTML components such as modal windows and tabbed interfaces. His presentation will also cover the individual tiers that make up these web components and how to stay current on the rapid pace of change in the space. He will address everything from full stacks inspired by specs like Angular and Dart, to micro-libraries and shims that are usable in existing or smaller projects. SaltStack is unique in providing enterprise software for remote system execution together with configuration management built specifically for modern data center infrastructures and any cloud environment. SaltStack takes a programmatic, common-sense approach to server infrastructure configuration and management, allowing IT organizations to quickly create, or leverage existing, system states and automation flows. SaltStack is utilized by enterprise application support teams, system administrators and DevOps staff who require fast and scalable infrastructure automation. SaltStack also provides dynamic and flexible parallel provisioning for physical environments and orchestration for cloud and virtual environments. The Salt open source project currently has more than 450 unique contributors, notably larger and more active than any other systems or configuration management community. In 2012 Salt was named by GitHub as one of its top-ten largest development projects. SaltStack is the complete systems and configuration management for fast and scalable deployment and automation of any cloud. Salt is used to orchestrate and control physical and virtual infrastructure while providing systems automation for the DevOps toolchain. The Salt open source project was launched in February of 2011 and is now one of the fastest-growing, most-active communities in the world. SaltStack was founded in August 2012 to support the Salt project and to deliver commercialized SaltStack Enterprise software packaged for the world's most-dynamic large and small businesses. SaltStack was selected as a GigaOm Structure LaunchPad finalist in 2013, named to the GitHub Octoverse Top 10 list for 2012, and was a BlackDuck Rookie of the Year for 2011.